Preface: Happy birthday to James Parkinson (neurologist, geologist, scientist, activist), born April 11, 1755 and died December 21, 1824. World Parkinson’s Day April 11, 2017. Introduction to the historical timeline on Parkinson’s disease: This historical description of Parkinson’s is a joint venture/adventure between Frank and Simon . The idea for this project started as a conversation during a recent North Carolina beach weekend for Frank and Barbara: “Wouldn’t it be cool to publish a Parkinson’s historical timeline for Parkinson’s awareness month?” However, to complete this project I needed a Parkinson’s expert. As a follower of his outstanding blog ‘Science of Parkinson’s’, I approached Simon about helping out on this timeline project; and to my delight he said yes. Therefore, we are happy to present the milestones in Parkinson’s disease research and discovery. We do apologize to the clinicians, scientists, health-care specialists, and their projects that were not cited here but we limited the timeline to ~50 notations. The entire historical timeline can be downloaded (click here for the PowerPoint file) and we encourage you to view it in ‘presentation’ mode. Each individual page of the timeline is presented below along with a brief explanation for each of the highlighted events. And Simon and I will be sharing the historical timeline in our own individual blogs. In the Parkinsonian brain there is a severe reduction in the chemical dopamine. This chemical was first synthesized in 1910 by George Barger and James Ewens at the Wellcome labs in London, England. The first brain structure to be associated with Parkinson’s disease was the substantia nigra. This region lies in an area called the midbrain and contains the majority of the dopamine neurons in the human brain. It was in 1919 that a Russian graduate student working in Paris, named Konstantin Tretiakofirst demonstrated that the substantia nigra was associated with Parkinson’s disease. Tretiakoff also noticed circular clusters in the brains he examined and named them ‘corps de Lewy’ (or Lewy bodies) after the German neurologist Friedrich Lewy who first discovered them. In 1957, a nonprofit organization called the Parkinson’s Disease Foundation was founded by William Black. It was committed to finding a cure for Parkinson’s Disease. Since its founding in 1957, PDF has funded more than $115 million worth of scientific research in Parkinson’s disease. The National Parkinson Foundation (NPF), was also founded in 1957 by Jeanne C. Levey. NPF is a national organization whose mission is to make life better for people with Parkinson’s through expert care and research. The foundation has funded more than $208 million in care, research and support services. 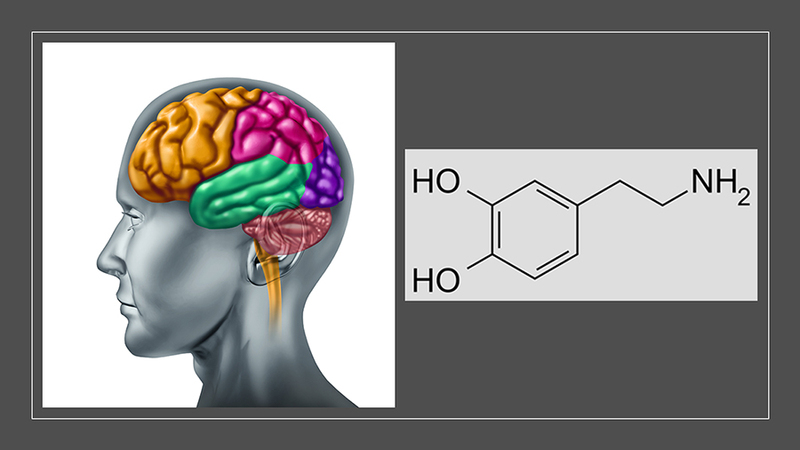 The discovery of the loss of dopamine in the brain of people with Parkinson’s disease: In 1960, Herbert Ehringer and Oleh Hornykiewicz demonstrated that the chemical dopamine was severely reduced in brains of people who had died with Parkinson’s disease. Knowing that dopamine can not enter the brain and armed with the knowledge that the chemical L-dopa was the natural ingredient in the preoduction of dopamine, Oleh Hornykiewicz & Walther Birkmayer began injecting people with Parkinson’s disease with L-dopa in 1961. The short term response to the drug was dramatic: “Bed-ridden patients who were unable to sit up, patients who could not stand up when seated, and patients who when standing could not start walking performed all these activities with ease after L-dopa. They walked around with normal associated movements and they could even run and jump.” (Birkmayer and Hornykiewicz 1961). When given alone levodopa is broken down to dopamine in the bloodstream, which leads to some detrimental side effects. By including an aromatic amino acid decarboxylase (AADC) inhibitor with levodopa allows the levodopa to get to the blood-brain barrier in greater amounts for better utilization by the neurons. In the U.S., the AADC inhibitor of choice is carbidopa and in other countries it’s benserazide. Dopamine agonists are ‘mimics’ of dopamine that pass through the blood brain barrier to interact with target dopamine receptors. Since the mid-1970’s, dopamine agonists are often the first medication given most people to treat their Parkinson’s; furthermore, they can be used in conjunction with levodopa/carbidopa. The most commonly prescribed dopamine agonists in the U.S. are Ropinirole (Requip®), Pramipexole (Mirapex®), and Rotigotine (Neupro® patch). There are some challenging side effects of dopamine agonists including compulsive behavior (e.g., gambling and hypersexuality), orthostatic hypotension, and hallucination. In the late-1970’s, monoamine oxidase-B (MAO-B) inhibitors were created to block an enzyme in the brain that breaks down levodopa. MAO-B inhibitors have a modest effect in suppressing the symptoms of Parkinson’s. Thus, one of the functions of MAO-B inhibitors is to prolong the half-life of levodopa to facilitate its use in the brain. Very recently in clinical trials, it’s been shown that MAO-B inhibitors have some neuroprotective effect when used long-term. The most widely used MAO-B inhibitors in the U.S. include Rasagiline (Azilect®) and Selegiline (Eldepryl® and Zelpar®); MAO-B inhibitors may reduce “off” time and extend “on” time of levodopa. In July of 1982, Dr. J. William Langston of the Santa Clara Valley Medical Center in San Jose (California) was confronted with a group of heroin addicts who were completely immobile. A quick investigation demonstrated that the ‘frozen addicts’ had injected themselves with a synthetic heroin that had not been prepared correctly. The heroin contained a chemical called MPTP, which when injected into the body rapidly kills dopamine cells. This discovery provided the research community with a new tool for modeling Parkinson’s disease. LSVT stands for Lee Silverman Voice Treatment for use by speech pathologists; she was the first patient treated by this innovative therapeutic technique in 1985. LSVT LOUD® was one of the first treatment strategies used for boosting the voice and sound levels of patients with Parkinson’s. It is set up to be one hour per day for four days per week for four weeks of treatment, and it’s typically very effective in boosting volume and clarity of someone’s voice. LSVT LOUD® led to LSVT BIG®, developed by Dr. Becky Farley and others and it focused on improving movement, mobility, stiffness and stability in Parkinson’s. DBS is a surgical procedure used to treat some of the disabling neurological symptoms of Parkinson’s when drug therapy has failed to help the patient’s tremor, rigidity, stiffness, slowed movement, and walking problems. There are three components in DBS surgery, the electrode, the extension from the electrode to the neurostimulator, which is also called the battery pack. The subthalamic nucleus and the globus pallidus are FDA-approved target sites in the brain for stimulation by the electrode. Although most patients still need to take medication after DBS, many patients experience considerable reduction of their symptoms and are able to greatly reduce their medications. In 1997, a group of researchers at the National institute of Health led by Robert Nussbaum reported the first genetic aberration linked to Parkinson’s disease. They had analyzed DNA from a large Italian family and some Greek familial cases of Parkinson’s disease. In 2003, German neuroanatomist Heiko Braak and colleagues presented a new theory of how Parkinson’s disease spreads based on the post mortem analysis of hundreds of brains from people who had died with Parkinson’s disease. Braak proposed a 6 stage theory, involving the disease spreading from the brain stem (at the top of the spinal cord) up into the brain and finally into the cortex. Early onset Parkinson’s is defined by age of onset between 20 and 40 years of age, and it accounts for <10% of all patients with Parkinson’s. Genetic studies are finding a causal association for Parkinson’s with five genes: α-synuclein (SNCA), parkin (PARK2), PTEN-induced putative kinase 1 (PINK1), DJ-1 (PARK7), and Leucine-rich repeat kinase 2 (LRRK2). However it happens, and at whatever age it occurs, there is no doubt that genetics and environment combine together to contribute to the development of Parkinson’s. The Movement Disorder Society (MDS) unified Parkinson’s disease rating scale (UPDRS) was introduced in 2007 to address two limitations of the previous scaling system, namely a lack of consistency among subscales and the low emphasis on the nonmotor features. It is now the most commonly used scale in the clinical study of Parkinson’s disease. Our understanding of the genetics of Parkinson’s is rapidly expanding. There is recent evidence of multiple genes linked to an increase the risk of idiopathic Parkinson’s. Interestingly, microtubule-associated protein tau (MAPT) is involved in microtubule assembly and stabilization, and it can complex with alpha-synuclein (SNCA). Future therapies are focusing on the reduction and clearance of alpha-synuclein and inhibition of Lrrk2 kinase activity. Treatment of Parkinson’s Psychosis with Nuplazid:~50% of the people with Parkinson’s develop psychotic tendencies. Treatment of their psychosis can be relatively difficult. However, a new drug named Nuplazid™ was recently approved by the FDA specifically designed to treat Parkinson’s psychosis. Living Cell Technologies Limited continue Phase II trial of NTCELLA New Zealand company called Living Cell Technologies Limited have been given permission to continue their phase II clincial trial of their product NTCELL, which is a tiny capsule that contains cells which release supportive nutrients when implanted in the brain. The implanted participants will be blindly assessed for 26 weeks, and if the study is successful, the company will “apply for provisional consent to treat paying patients in New Zealand…in 2017”. In my adult life as a scientist, I’ve studied the world of hematology and how your blood clots. And as a lifelong medical educator, I’ve taught the principles of biomedical science/hematology/oncology/immunology. But this thing with Parkinson’s, this for the rest of your life disorder is still relatively new in my life-line. Making this historical timeline was very educational for me; I learned a tremendous amount of information about this disease. This timeline would not exist without the help and guidance of Simon my friend in Cambridge, England. He has his own blog entitled the Science of Parkinson’s. Simon went out of his way to help plan and expedite this calendar of Parkinson’s history; I am most thankful for his participation. Dr Church: I wanted to pass along the attached flyer; you may have received it as well from Jessica Shurer of the PD Support Group. I’m on the team getting P4P off the ground here in Chapel Hill. Aside from Jessica the others are the organizers of the Pickleball Group here in Chapel Hill. We are basically following what they did recently in Charlotte with P4P.